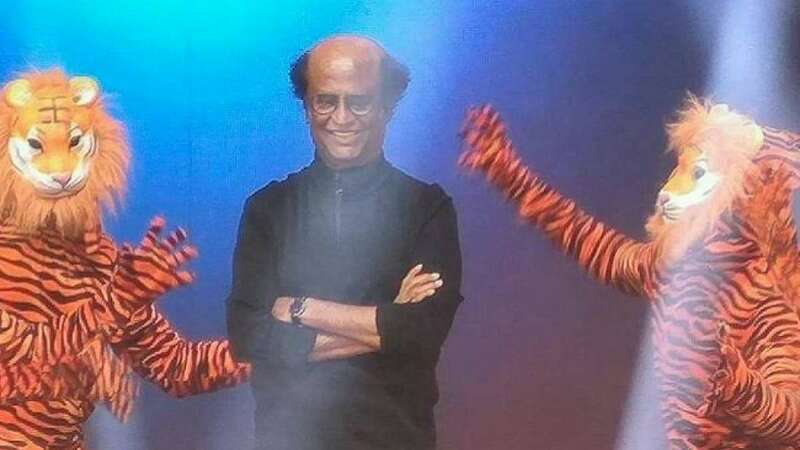 Mumbai : From his family members to sports persons to Bollywood and the southern cinema world, actor-politician Rajinikanth got birthday wishes galore as he turned 68 on Wednesday. Celebrities hailed him as the "one and only" superstar who has had an inspirational journey. Amitabh Bachchan: Happy birthday Rajni. Friend, colleague and a sensation ever! Dhanush: Happy birthday my Thalaiva... The most beautiful human being I have met in my life. This first bench fan's humble wishes to the unexplainable phenomenon this country has ever seen. Love you Thalaiva, superstar, the only one. Soundarya Rajnikanth: The one... The only one! Happy birthday my dearest appa. I Love you to the moon and back. Mahesh Babu: Here's wishing the man who's been an inspiration for generations, Rajinikanth sir, a very happy birthday! Wish you good health and happiness always! Akshay Kumar: A dream co-star and a legend in every right! You are an epitome of simplicity and it was an absolute honour to work with you. A.R. Murugadoss: Happy Birthday Thalaivaa. My best wishes for your good health and happiness. You are the icon of style and humility. Mohan Babu: Many happy returns to my best friend Rajinikanth. May you live 100 years with good health and wealth. Abhishek Bachchan: Happy Birthday Thalaiva! Have a wonderful year Rajni uncle. Kajal Aggarwal: A very happy birthday to the most grounded and humble, everyone's favourite superstar, Rajinikanth sir. Wish you eternal happiness and bliss! Sachin Tendulkar: Many many happy returns of the day Thalaiva. Wishing you a healthy and blessed year ahead, Rajinikanth sir. Koratala Siva: Happy Birthday to an absolute legend of Indian cinema, superstar Rajinikanth sir. You are an epitome of hard work and simplicity. Wishing a very happy n healthy life forever. Shriya Saran: Thank you Rajinikanth sir, thanks for being who you are. You are an inspiration to all of us. It was a dream come true to work with you. Hope to work with you real soon. G.V. Prakash Kumar: Wishing you good health and happiness always dear Rajinikanth sir. Tamannaah Bhatia: Happy birthday to cinema's biggest superstar aka Thalaiva. Preity G Zinta: Wishing the one and only superstar Rajinikanth a very Happy Birthday! Your dynamic style and personality has always inspired us! Wish you great health and happiness always. Virender Sehwag: Many many happy returns of the day to a man who rules hearts of fans across the globe and is an inspiration for many. Varu Sarathkumar: Happy birthday to the one and only superstar Rajinikanth sir, a man worthy of his title in every sense. From rags to riches, an inspiration to millions, an ambassador for the tagline 'dreams do come true'. There will never be another superstar. Vijender Singh: Happy birthday to superstar Rajinikanth, big fan.